A few weeks ago we requested research information from the archives at The Frick Collection in New York City. We've been trying to find positive evidence that our Albion iron hand press was indeed one of a pair of Albion presses purchased in the late 1920s by Porter Garnett, director of Laboratory Press at the Carnegie Institute of Technology, to print The Frick Collection Catalogue. Laboratory Press was the first fine press educational program in the United States. 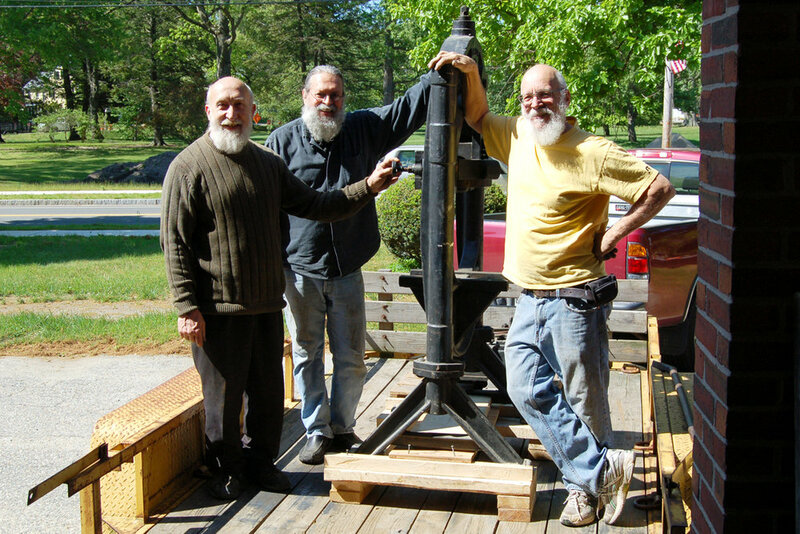 We purchased the press in May 2008 from the Museum of Printing, then in North Andover, Massachusetts (now in Haverhill). Here is a photo of us loading the press on our trailer. Over the past several years we've put together a lot of circumstantial evidence that our press was one of the Carnegie Institute presses, but we have longed to see the actual serial number (8112) written down somewhere. The answer came back today which you can see in the photo at the top. The photo above shows the serial number before we started cleaning off the paint to expose some very nice metal. Below is a beauty shot of our Harrild and Sons Super Royal (20.5" x 27.5") Albion iron hand press. The photo below of two of the printers working on The Frick Collection Catalog started out as circumstantial evidence. The photo's caption in Gabriel Rummonds' book, Printing on the Iron Handpress, listed the press as being in Pittsburgh. 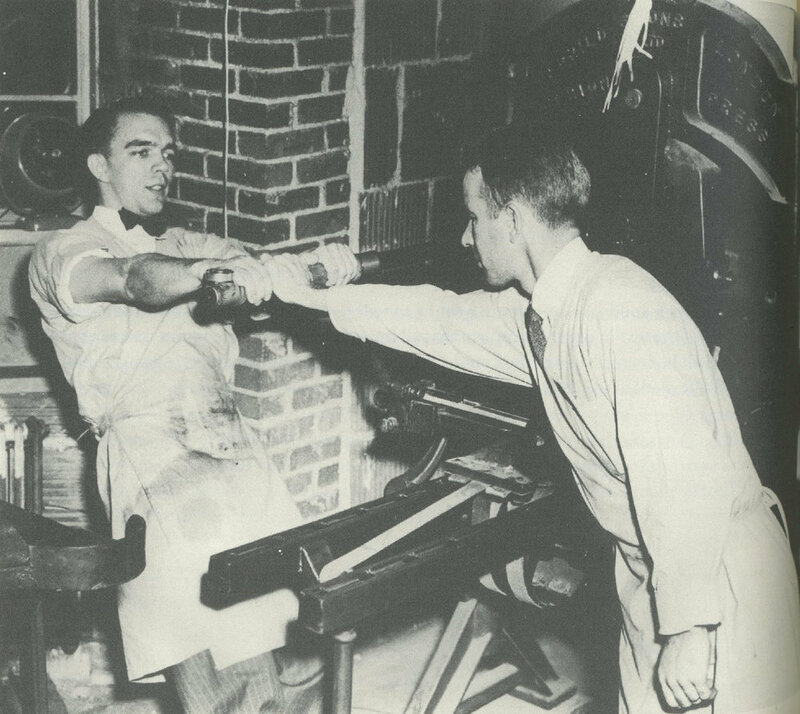 There was also another photo with the same caption showing 2 iron hand presses. The image below, which shows legs which match our Albion, got Ray to thinking our press might somehow be connected, and voila, it is.